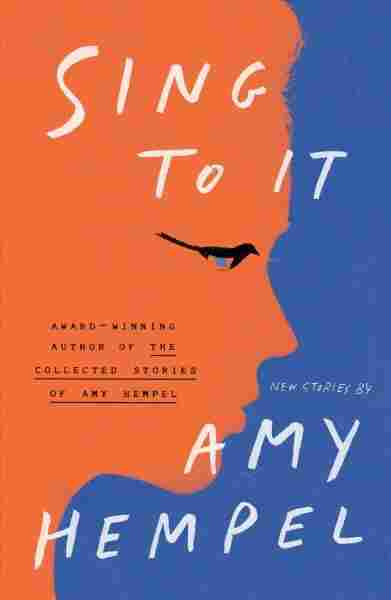 'Sing To It' Is Worth The Wait Amy Hempel's first book of new material in 14 years showcases her immense talents as a fiction writer. It's a powerful collection of stories about uneasy, unmoored, even desperate people. Fans of Amy Hempel have gotten used to waiting. In the 34 years since her debut book, Reasons to Live, was published, the short story writer has released just four books, one of which was a collection of her previous volumes. Her last book of new material, the critically acclaimed The Dog of the Marriage, hit bookstore shelves 14 years ago. In terms of literary output, she's basically the anti-Joyce Carol Oates. To be clear, that's not a bad thing. You can't rush great fiction, and that's exactly what Hempel delivers in her new collection, Sing to It. The fifteen stories in Hempel's new book showcase the author's immense talents, and prove that she's one of the most vital authors of short fiction writing today. Hempel explains the title of the book in the first story, from which the collection gets its name. "At the end, I wanted to comfort him," she writes. "But what I said was, Sing to it. The Arab proverb: When danger approaches, sing to it." It's a fitting name — Hempel tends to write about people in less than ideal situations, uneasy and unmoored, but she does so with an understated lyricism that sounds both minimalist and musical at the same time. One such person is the narrator of "A Full-Service Shelter," who volunteers her time at a New York animal shelter where dogs wait to be either adopted or euthanized. "They knew me as one who shot reeking crap out of cages with a hose — and liked it," she proclaims. "And I would rather do that than go to a movie or have dinner with a friend." The narrator recounts the indignities visited on both the dogs and the people who staff the shelter in a matter-of-fact manner; the story is heartbreaking precisely because it's so resolutely unsentimental. Hempel has a fascination — almost an affection — for desperate characters, although she takes them as they are, refusing to exploit their pain. The narrator of "Greed" doesn't hide her desperation; she's livid that her husband is having an affair with a much older woman and refuses to stop seeing her: "She was not the first. She was the first he would not give up." The narrator, galled at her husband's relationship with a woman "running on the fumes of her beauty," feels compelled to take matters into her own hands, and the story ends chillingly, with a final sentence that displays Hempel's pitch-dark sense of humor. Many of the stories in Sing to It are one or two pages long, near-microfictions that still manage to pack immense power into a few hundred words. In "Moonbow," an unnamed narrator finds a bear playing with her late dog's toys; "The Second Seating" follows, very briefly, a group of friends eating dinner on an island in honor of a recently departed mutual acquaintance. Both stories are enough to bring the reader close to tears — it's astonishing that Hempel can pack so much emotion into so few words. Sing to It closes with "Cloudland," which, at 61 pages, is uncharacteristically long for a Hempel story. It follows a woman who works as a home health worker in Florida; she lost her job teaching English at a New York high school after doing cocaine with some of her students. The woman is haunted by a baby girl she had as a teenager and gave up for adoption: "It's been how many years, and I see her — the girl I never saw — wherever I go. I never made a list, and don't keep count of the number of times I see her. But man, she gets around." There's not a story in 'Sing to It' that's less than brilliant, and the collection itself is even greater than the sum of its parts. The woman had stayed in a Maine maternity home while waiting for the child to be born, and decades later, she's contacted by another resident of the home, who tells her something shocking about the facility where they once lived. Hempel tracks the character's near-breakdown obliquely; the woman becomes fixated on the disrepair of her rental house and the threat of climate change, only sometimes allowing herself to speculate about the fate of the daughter she gave up years before. It's a gutsy, brave and unrelentingly painful story; it's also possibly the best one Hempel has ever written. There's not a story in Sing to It that's less than brilliant, and the collection itself is even greater than the sum of its parts. Hempel occasionally draws comparisons to authors like Mary Robison and Joy Williams, but she writes like nobody else — she's an irreplaceable literary treasure who has mastered the art of the short story more skillfully than just about any other writer out there. Sing to It is a quiet masterpiece by a true American original.